Since you are probably spending more time in your house during the winter months, this is a good time to start your spring cleaning tasks. As a result, you will then have more time to spend on outdoor activities when the weather gets nicer. This is the philosophy of blogger Jennifer, The Intentional Mom. As a mother of 9 children, as well as a blogger, author and writer, she had to become a master of cleaning and organizing. She must get a lot done in as little time as possible. In her recent blog about spring cleaning, she explains how to divide your house into five main zones and then focus on 30 spring cleaning tasks. 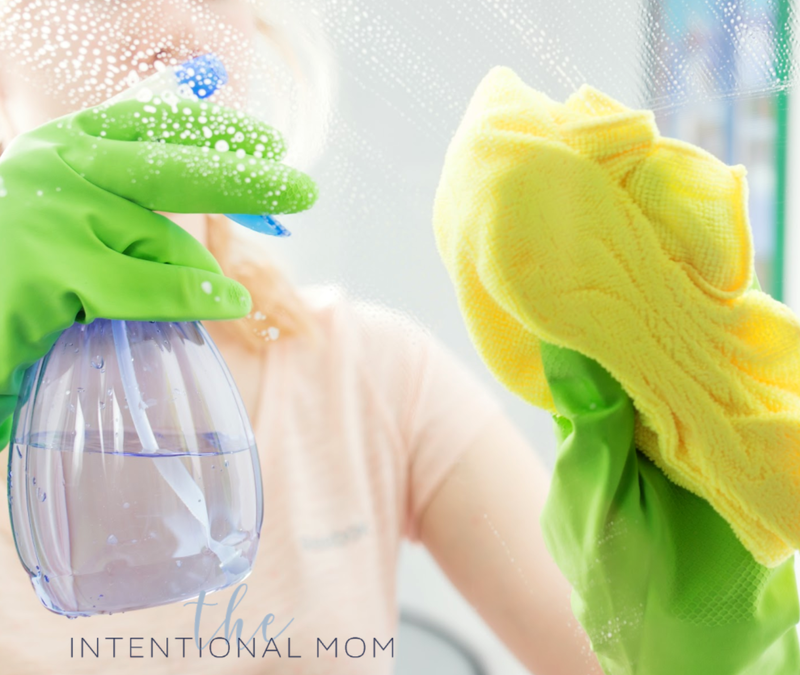 Instead of being overwhelmed by looking at all that needs to be done to clean and declutter your entire house, she believes in dividing up the cleaning effort into smaller tasks. Each of the tasks can generally be done in about 30 minutes or less. As a result you will feel less stressed and a continuing sense of accomplishment as you complete each smaller cleaning task. Of course, having the right tools and supplies makes the cleaning process faster and easier while achieving better results. One of these tools is the pen-shaped non-scratch Scrigit Scraper. Jennifer describes the Scrigit Scraper as “my favorite cleaning tool of all time.” The tool is great for removing adhesive stickers, labels and tape. It is also very effective for removing dried food, dirt and grime from counter tops, floors, edges, corners, and grooves. It can get into tight spaces that your fingers can’t reach while keeping your fingers from getting cut, preventing your fingernails from getting damaged, and eliminating that awful feeling of gunk stuck under your fingernails. Note that Jennifer discovered the benefits of using Scrigit Scrapers on her own. Then she approached me – Jay, the inventor of the tool – about sponsoring her spring cleaning blog post. All of the opinions she expresses in the article are her own. Here is a very brief summary. A link to the entire blog post is provided below. You can also get a free printable Spring Cleaning Checklist. Cleaning tasks include the microwave, stove top, oven, and refrigerator. Boiling some water with lemon juice added in a microwave-safe bowel or glass measuring cup really speeds up the cleaning process. Jennifer really likes using a Scrigit Scraper for cleaning refrigerators. The tool is very good at cleaning gunk off the edges of glass shelves without scratching the glass or plastic edges. Of course, then there are the cabinets and the drawers with more corners and edges. There are a lot of places for dust, dog and cat fur, and food crumbs to accumulate in and under the furniture. Bathrooms are one of the most rewarding places to clean because they seem to sparkle when you are done. 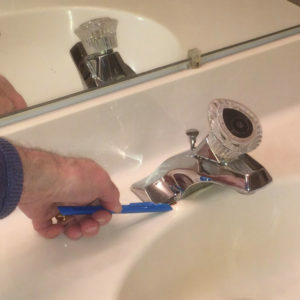 A Scrigit Scraper is essential for cleaning in the bathroom because the tool can clean the edges around the faucets, sinks and floors. The tool is also effective for cleaning the groove around the drains and in or along the shower door track, depending on the style of door you have. As you are busy cleaning your clothes, dirt accumulates on your washer and dryer. You will keep your vacuum cleaner busy here. Take the time to clean under the bed and behind furniture. These areas around the house include dusty baseboards and ceiling lines with dangling cobwebs. On nicer days, open the windows to clean out the dirt that accumulates between the inner and outer window, if you have that window style. A Scrigit Scraper is very helpful for cleaning the tracks of sliding windows and doors. See the whole article for information about all the cleaning tasks at Room by Room Spring Cleaning Cheat Sheet & Free Printable Checklist. Check out Jennifer’s blog for a wide range of useful information at TheIntentionalMom.com.